The 2016 Rugby Championship will be the fifth edition of the expanded annual southern hemisphere Rugby Championship, featuring Argentina, Australia, South Africa and New Zealand. The 2016 Championship will return to its full 6-round format, having been reduced in 2015 to 3 rounds due to that year’s Rugby World Cup. Book your VIP Suite Hospitality packages for the South African leg of the 2016 Castle Rugby Championship. 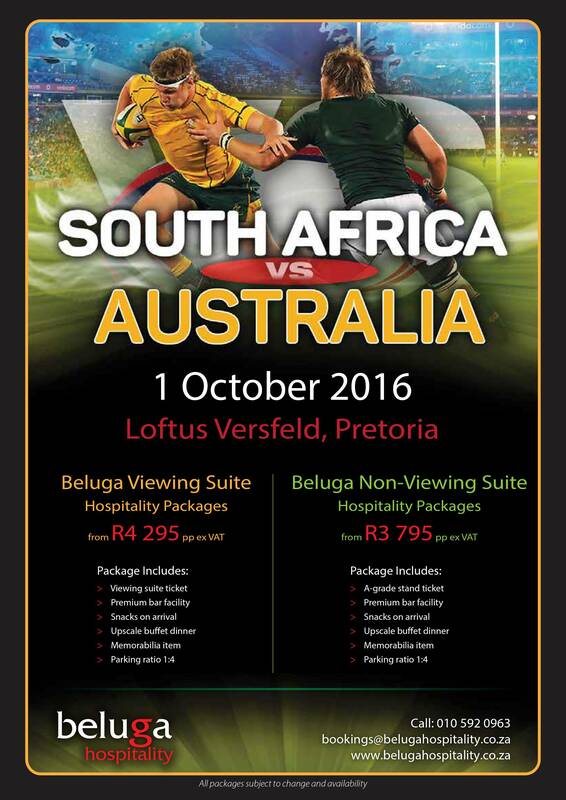 Contact Grant Wilson on 082 466 4122 or grant@belugahospitality.co.za to purchase your SA New Zealand tickets for the test match on the 8th of October at Growthpoint Kingspark, Durban.